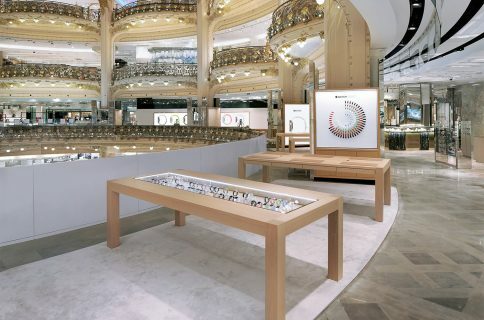 The Apple Watch is now available both through the Apple Online Store and at the firm’s brick-and-mortar stores, marking a major development in the somewhat controversial roll-out of the wrist-worn device. 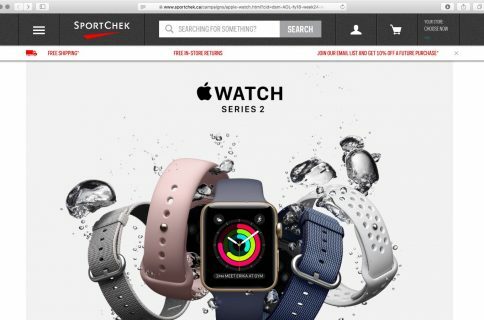 “Apple Watch is now available at an Apple Store near you,” the iPhone maker announced Friday in an email blast to customers. “Stop by today or choose your favorite model online and make a reservation for in-store pickup,” reads the message. Apple offers Personal Setup for the device to help you get started either in the store or online. You can also attend a workshop to familiarize yourself with the device, schedule an appointment online or just walk into an Apple Store to try one on. It was reported two days ago that retail stores in the United States, the United Kingdom and Australia started receiving first shipments of the device for walk-in purchases. The device is available for in-store pickup through Apple’s new Reserve & Pickup service. 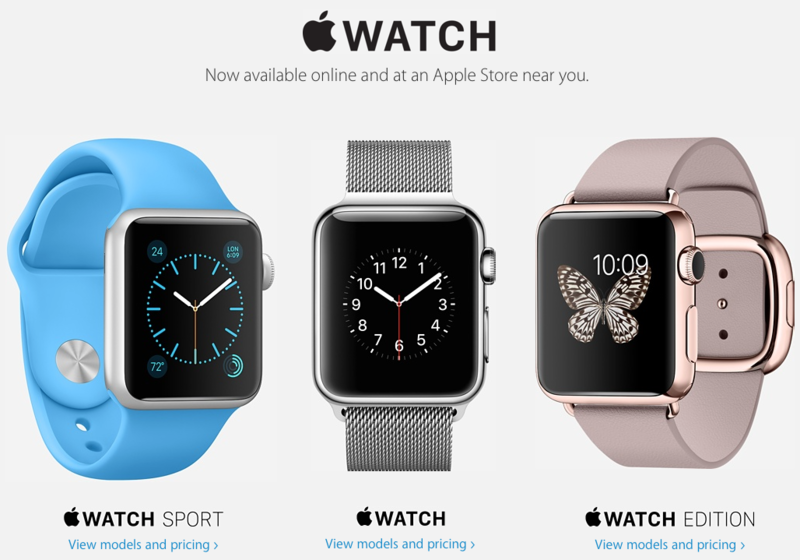 On April 24, the Apple Watch debuted exclusively via an online-only reservation system with optional try-on appointments in Australia, Canada, China, France, Germany, Hong Kong, Japan, the United Kingdom and the United States. Availability will expand to Italy, Mexico, Singapore, South Korea, Spain, Switzerland and Taiwan come next Friday, June 26. 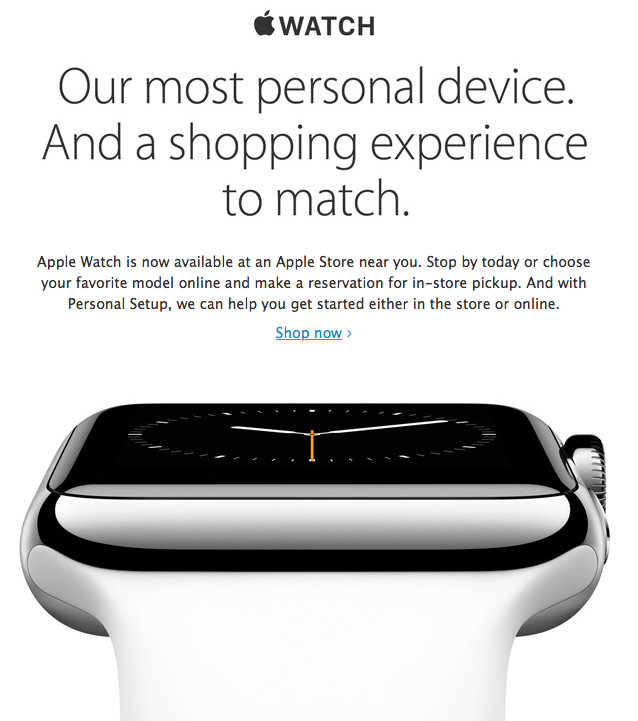 Is the Apple Watch available at an Apple Store near you?